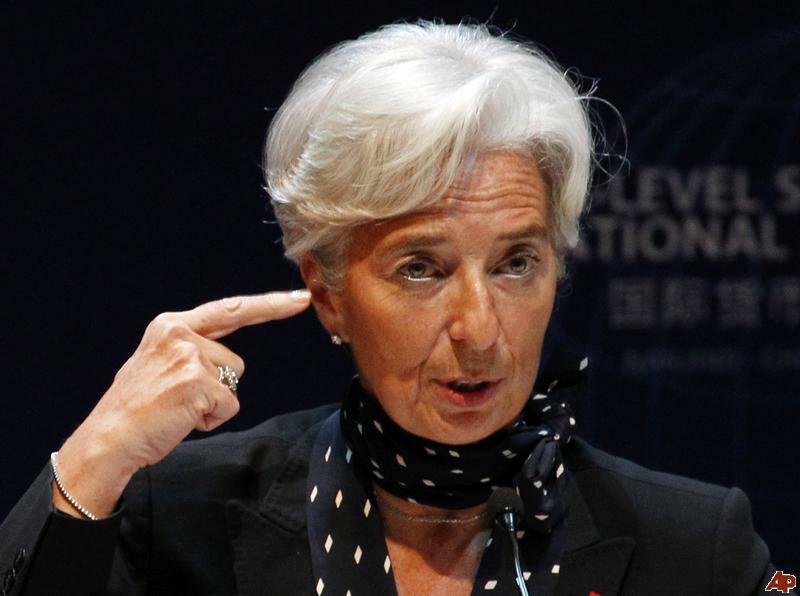 Managing Director of the International Monetary Fund (IMF) Ms Christian Lagarde has expressed hope in the government of Ghana’s ability to meet the IMF conditions. According to her Ghana will continue to deliver and restore the economic stability it had. Ms Lagarde, who praised the government of Ghana for being sensible about its borrowing capacity, was addressing questions from financial journalist across the world at the IMF online press center in Washington DC. Meaning that, the majority of the difficult and harsh decisions that the government of Ghana needs to make in order to get the economy growing again, have already been taken, and thus going forward, Ghanaians can expect to start seeing glimmers of economic recovery. It could be recall that recently the International Monetary Fund (IMF) team led by Joël Toujas-Bernaté has expressed its satisfaction with the smooth implementation with the IMF Extended Credit Facility by the government of Ghana during its first review of Ghana’s financial and economic program supported by the IMF’s Extended Credit Facility (ECF)1. He said the program is on track, stating that all performance criteria were met except for the ceiling on central bank financing to the government, which was technically missed by a small margin. The IMF team who were in Accra during June 17−30, 2015, also welcomed the commitment reiterated by the authorities to the ambitious fiscal consolidation and structural reforms program, in particular in addressing payroll irregularities, enhancing public finance management and transparency and liberalizing the oil distribution sector. The team notes, however, that more needs to be done to further enhance tax administration and eliminate tax exemptions to improve the revenue performance over the medium term. Economic growth in 2015 is expected to remain broadly as expected (around 3 ½ percent), with low cocoa and gold production but increasing hydrocarbon production. We welcome the authorities’ efforts to address the electricity shortages, which have been weighing on economic activity, by bringing new private financed power plants in the coming months. The IMF team in a statement further revealed that good revenue performance and containment of the wage bill and other spending as programmed contributed to this positive outcome. It said no new arrears were accumulated in the review period and past arrears were repaid as planned. With higher projected oil revenues, the overall cash deficit is expected to be slightly lower than programmed for the year as a whole. Additional revenue above the budget projections will help cover additional spending related to the recent flooding and larger arrears clearance, as additional arrears as of end-2014 were identified in audits of claims from oil importers and reviews of cross debts among utility companies. The success of the program critically hinges on continued spending moderation, in particular the wage bill with stricter control of the payroll being put in place, and renewed efforts to improve revenue collection. Making public the strategy for the 2016 budget and wage negotiations consistent with this framework will go a long way in restoring market confidence and lowering financing costs. The International Monetary Fund (IMF) has praised Ghana for been sensible about its borrowing capacity and it’s also optimistic about the government ability to meet the IMF conditions. According to her Ghana will continue to deliver and restore the economic stability it had.